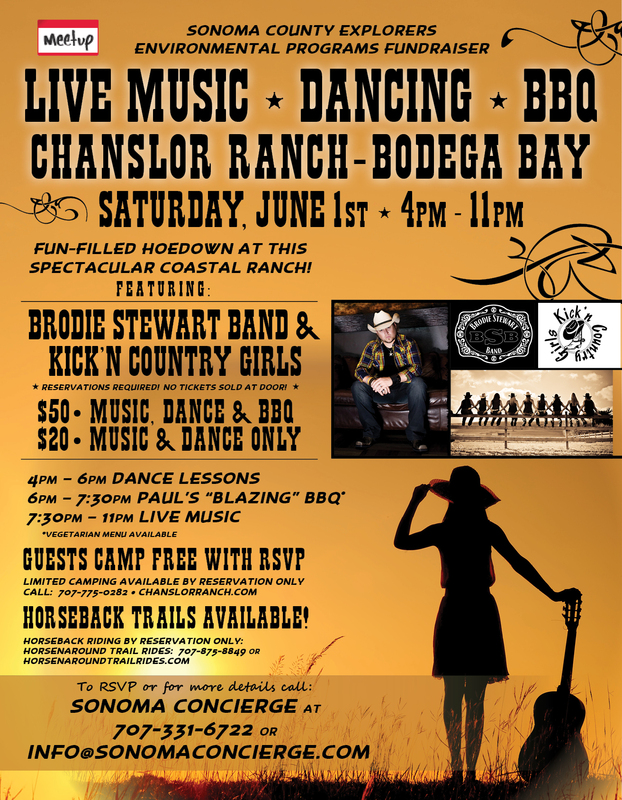 Join us for Country Western Dance Lessons, BBQ and The Brodie Stewart Band at Chanslor Ranch in Bodega Bay. Use promo code MUSIC13 to buy tickets at www.sonomaconcierge.com today! West Coast Swing Lessons, Country Line Dance Lessons, BBQ, Camping & Rooms for Rent all with ocean views! Drive through the town of Bodega Bay past Bodega Bay Lodge & Spa, Gourmet Au Bay, Terrapin Creek and The Tides and Inn at the Tides, then go on past Second Wind too!